I feel my accident lawyer is mishandling my case. Is there anything I can do? I am to the point that I do not trust this firm and just feel I will get more excuses from them. I'm very upset and trying my best to explain this. My current firm is NOT helping me with my case. Most of my stress has been from the firm or my injury from this accident. What can I do? 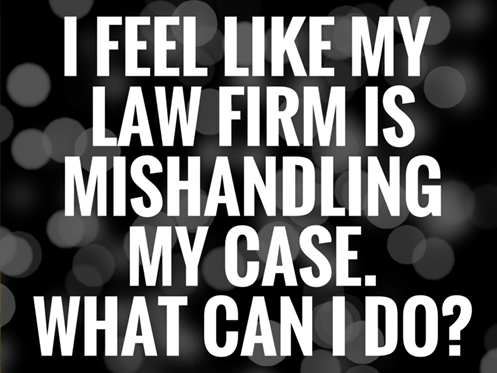 You have the absolute right to consult with another lawyer and dismiss your present law firm. By now, a lawsuit should have been filed. As such, you need an experienced injury trial lawyer. You would be best served by an attorney who is a Certified Specialist in Injury and Death law.